Money conversations can feel loaded and uncomfortable. Here's how to broach the subject and navigate the conversation so you can get on the same page. With the right questions and ground rules, avoiding conflict and focusing on improving transparency and solidifying your mutual goals. 1. Talk Values. Instead of focusing on numbers, make sure you discuss your values around money. Is one of you a saver and the other a spender? How do you determine how much you want to donate? Sharing how you want to use money on helps you understand each other’s habits. 2. Transparency is key. Don’t lie. Bad financial choices are often borne out of shame. If you have these conversations, being truthful and understanding is the first step to making them beneficial. 3. Take Breaks. You won’t be able to deal with everything in one conversation. Make time at the end of the talk to plan when you’ll be checking in again and how you can improve next time. 4. Make it a habit. Don’t just have the conversation once! Talking about money with your partner should be routine. Stay on the same page about goals and attitudes and help avoid unpleasant conversations later. If you feel uncomfortable bringing up money with your partner, you’re not alone. When surveyed, 68% of people said they would rather talk about their weight than how much is in their savings account. Finding the right ways to talk about money with your partner can be delicate. In this article, we’ll break down the best ways for you to broach the subject, increase transparency, and act as a team. 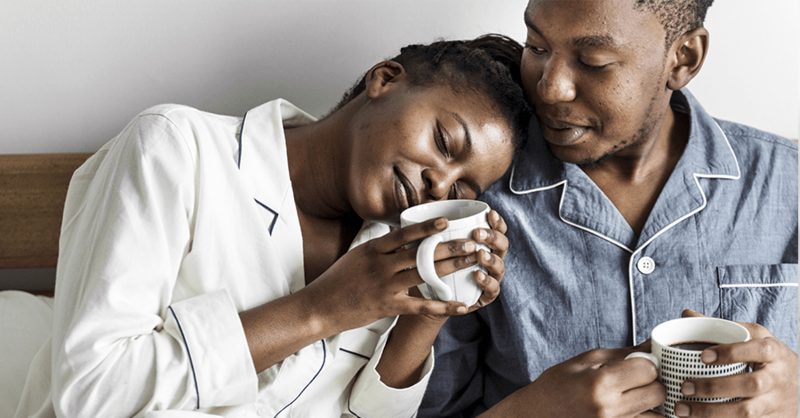 Whether you feel like there’s something wrong or you’re just trying to take the next step in your relationship, explaining how and why you’d like to talk about money helps your partner understand the goals of your conversation. If you’re planning a trip, moving in together, or simply want to learn more about your partner’s values, be sure to prepare them by sharing about yourself first. Remind them that you know the two of you can talk through this and work as a team. If you know about your partner’s financial history already, use it to your advantage. Be sensitive to their experience and ask them to expand if it’s relevant. This is a good time to explain more about your financial background and upbringing so you are both on the same page. Finding out if there are certain things your partner would like to keep private, or if there are any things that might be particularly upsetting for them at the beginning helps you set up a successful conversation. Discussing how to handle disagreements or emotions during the conversation will mean you aren’t caught off guard if the conversation gets emotional. Acknowledge how emotion plays into money. Even if you think that you’re just talking numbers, money has a lot to do with how we were raised and live our lives. Be sure you’re actively listening and using I statements when you want to share about your feelings and philosophies. It can feel daunting to bring up the subject of money with your partner, but getting started is the hardest part. Discussing financial values and creating shared goals can bring you closer together. Use these tools to start your journey to financial transparency with your partner.